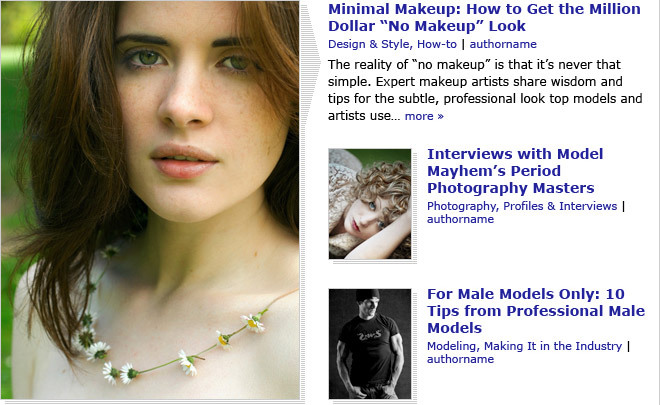 modelmayhem.com is a huge, high-traffic site, packed with user-generated content and a vocal, global membership. Its lightweight design has kept it accessible worldwide, setting a minimalist tone that helped us evolve the brand’s identity and bridge the gap between familiarity and new design trends. 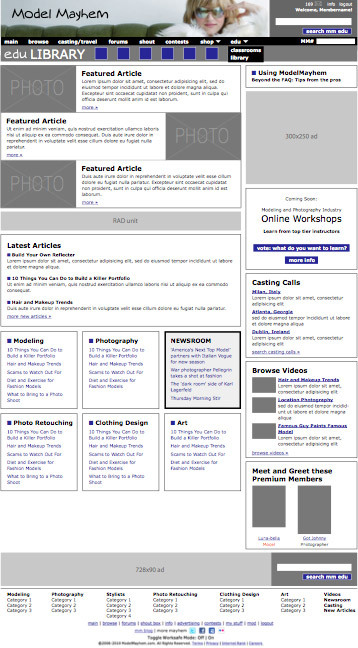 The EDU section was a completely new feature, as well as a chance to begin setting the tone for a planned future overhaul of the entire site. I determined the architecture, the UI design and the page design, and also developed phased rollout pages in order to collect member preferences, UX insights, and to reinforce community. 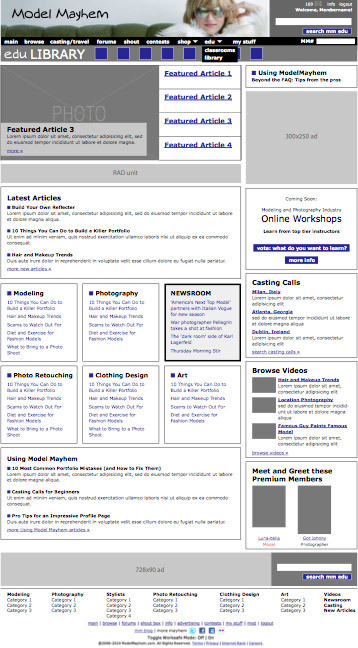 I’ve done extensive UI/UX work for features throughout the ModelMayhem website, including an eCommerce section, the Modelmayhem Shop. Please contact me if you’d like more info.